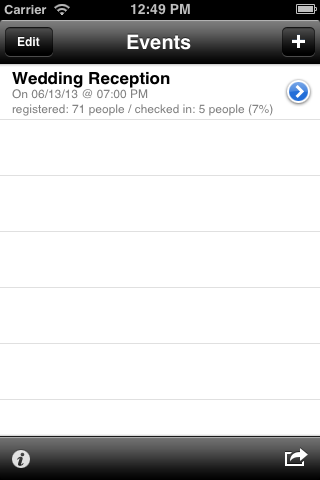 Who’s Here Designed and built for the iPhone, Who’s Here helps you manage your events or parties, keeping lists of attendees and checking in people as they arrive. We’re not quite open for business yet. Apple is still reviewing our Who’s Here? app. 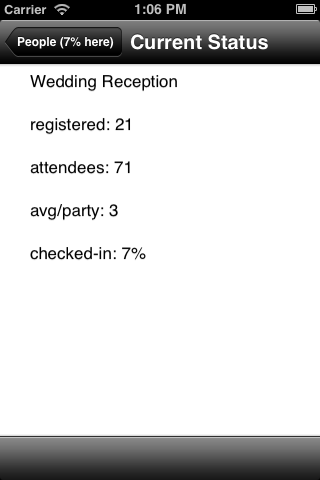 One stop tracking of attendees and sizes of registered parties. Touch-to-checkin at events. Who’s Here makes event management a breeze. No. Who’s Here? does not impose arbitrary limits on you. It will handle as many events as you want and as many people per event as you have. The only limit is the free space on your phone. Anyone planning an event or managing multiple events. Weddings, class reunions, charity events, parties, you name it. Who’s Here? 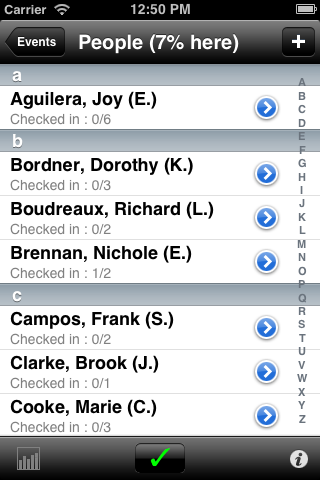 will help you manage your guest list.